When you serve on a jury, you're not allowed to talk about the case with anyone who isn't a juror, but what if your case is the O.J. Simpson murder trial, the one that everyone in the country is talking about? In that case, you get sequestered for more than nine months in a fancy hotel, it seems. Where did the jury stay during Simpson's trial? According to the Los Angeles Times, the City of Los Angeles put up the 12 jury members and two remaining alternates for 265 days at the Hotel Inter-Continental, which is now called the Omni Los Angeles Hotel, according to hotel website Oyster. 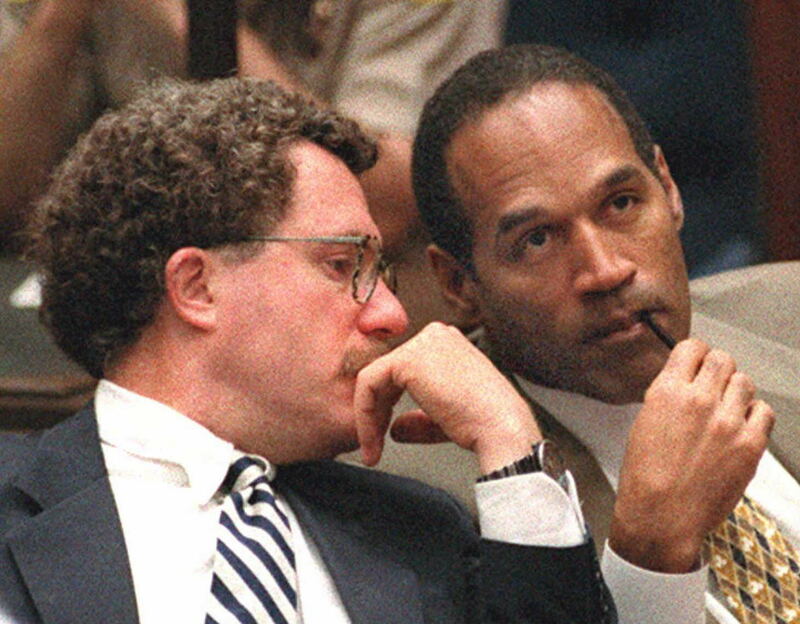 The hotel housing the trial's jury was supposed to be unknown, but their accommodations were pretty much an open secret during their January through October 1995 stay, reported the LA Times. Today, the Omni Los Angeles Hotel is a 435-room luxury hotel in Downtown LA with a fitness center, spa, and a lap pool, according to Oyster. In 1995, People described the Hotel Inter-Continental as "elegant," and it was relatively new (built in 1992), close to the courthouse, and the jurors stayed in standard, $180-a-night rooms for which the city paid less than $100 a night, as reported by the LA Times. But because of the very nature of sequestration, this was no ordinary hotel stay, as explained in the same Los Angeles Times article. For example, the rooms had TVs and phones, but the jurors weren't allowed to use them — ever. The jurors' homes for the duration of the trial were were clustered on the fifth floor of the hotel, where the elevator never stopped. If any of the jurors did want to leave the hotel, they had to take the service elevator with a guard. Juror Gina Marie Rosborough celebrated her first wedding anniversary with her husband while sequestered, and according to People, Judge Ito let her and her husband go to a movie and dinner at the hotel, but with a security guard chaperone. At the beginning of the trial in January 1995, Judge Lance Ito requested the jury to be fully sequestered and gave the 12 jurors and 12 alternates two days notice to pack their bags before they were to be housed in a secret location, according to The Philadelphia Inquirer. "We will try to make this something less than...an experience of incarceration, but it won't be a picnic," Ito told the jury, according to the newspaper. "We will all do our very best to make this as palatable as possible." Why? Because the media circus surrounding the trial became impossible to avoid, even in a pre-online media world. Once the trial was over, the hotel became the site of the jurors' celebration of freedom. According to People, they had a party in the hotel's 17th floor presidential suite with champagne and a professional piano player. And it was well deserved — the jurors were isolated from their families for almost a year and they were finally able to return to the lives they left behind. "They'd been here a long time and felt they'd accomplished something," Hotel Inter-Continental general manager Lewis N. Fader told the LA Times. "I think they were just happy to have survived."